Annoy Your Friends with Scary Sounds! You ever get so bored at work that you want to do something fun? Well yeah, most of us probably do I think. What if I told you you could trick your co-workers with a small gadget? The Annoy-a-tron is magnetic, so it can be mounted on a desk or put somewhere where people can’t see it. You just turn it on, choose the sound and the device goes off every once in a while (around 10 to 15 minutes). It’s actually very hard to find and I was able to trick my colleague for about 2 months before he found out lol. 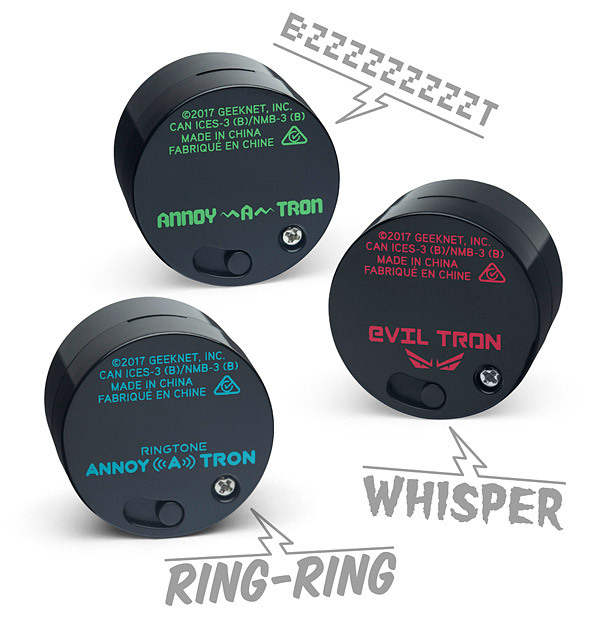 The Annoy-a-tron is the perfect prankster pack for the office or in school. It’s very cheap and very easy to use and you’ll have a lot of fun! You can find the Annoy-a-tron here.